The upcoming schedule for this year’s Game Developers Conference – taking place between the 18th and 22nd of March – has revealed how Microsoft will be discussing its plans to expand Xbox Live support to Android, iOS and the Nintendo Switch. 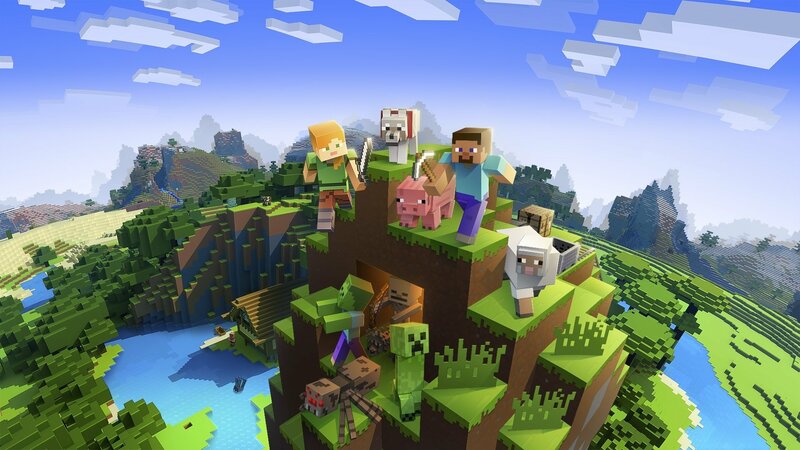 It wants cross-platform play to go beyond the insanely popular crafting-survival game Minecraft and support multiple other titles. The tech giant will be providing a first look at the SDK which enables developers to connect players across multiple platforms – including Switch – with “any game” available in the Microsoft Store on Windows computers. It would essentially allow Xbox Live achievements, social systems and multiplayer to be added to games on the above-mentioned devices. - Xbox Live players are highly engaged and active on Xbox and PC, but now they can take their gaming achievement history, their friends list, their clubs, and more with them to almost every screen. - This will break down barriers for developers that want their communities to mingle more freely across platforms. Combined with PlayFab gaming services, this means less work for game developers and more time to focus on making games fun. - Game services engineers looking to save time & expand their customer base by letting Microsoft managed game services handle social, communication, and multiplayer interactions across billions of screens. - Game producers looking to plan a multi-platform strategy that brings the most active, engaged players into a community where they can watch, buy, play, pause, and continue their games from one device to the next on top of the most reliable social and multiplayer network in the world. Would you like to see Xbox Live support on other platforms? Tell us below. Xbox Live comes to Switch?! Would be sweet if there were some kind of cross-platform achievement system. That means Nintendo would need to add it. @Anti-Matter I don’t think that’s what they meant by having Xbox Live availability. To be quite honest, i would rather pay Xbox Live over Nintendo's online membership any day. Gotta think Microsoft plans to drop the XBL Gold requirement for online multiplayer on Xbox within the next few years, probably with launch of next gen.
Makes no sense to expand this cross platform initiative and only have Xbox players require the sub while PC, mobile, and Switch users have access to this stuff for free (Nintendo's own NSO subscription notwithstanding). And there's no way in hell they're gonna convince those people to pay the fee. There are some cool possibilities here. I would not mind cross support with Xbox Live. I wonder what Nintendo thinks of it? Is it possible that Microsoft and Nintendo have been quietly working out some kind or partnership? It seems pretty far-fetched but, an alliance between Microsoft and Nintendo could be pretty interesting. I'd love if Microsoft had their cross play initiative expanded to the switch. I remember when Microsoft licensed a few games (namely Age of Empires) for the DS because they had no portable presence to compete with. It would be glorious to see something like that happen again with the Switch. For that matter, the DS got a bunch of neglected EA properties like Populous, Theme Park, etc., but I don't see them contemplating a move like that again, sadly. I could tell Microsoft was looking to expand into Switch more and I don't think the friendliness is done yet. I really think there's more going on behind the scenes with Nintendo and Microsoft that we don't know about. I don't believe they see themselves as rivals, but as systems that complement each other, or at the very least Microsoft seems to have this view. This kind of cross-compatibility has been coming and Sony will not be able to compete with it. Imagine when you can buy a system that shares a friendlist, achievements, crossplay and presumably cross-progress at some point with your phone, tablet, PC and another console OR buy the only one that stands alone not compatible with anything else at all. For a game developer too, I'd think they'd prioritize an ecosystem that spans a massive amount of devices over the one that stands alone. I think the next few years are going to see big changes in the status quo for consoles. Hmm, this is very interesting. Microsoft: We're expanding Xbox Live to Nintendo Switch beyond Minecraft! Me: Get us some dedicated servers while you're at it. You have that much in the bank, I'm sure you can afford it. I am absolutely in love with this idea! Maybe some new cross platform banjo Kazooie/other Rareware properties? I’m curious to see where this go. I wonder if Nintendo will actually allow full integration of Live however as I would assume they wouldn’t want a competitor to take away customers from Nintendo’s online service. Multi format games should always play cross format. Pooling all FIFA, NHL, Madden, NBA2K, Mortal Kombat 11, Battlefield, Black Ops etc into one merged gaming arena is where gaming should be. Maintaining a closed shop on multi format games just makes no sense. @Heavyarms55 I've been prophesising about the partnership for years, it's my 'Wintendo' prophecy. Sounds fantastic! I'd love it! I've long wanted to see more collaboration between Xbox and Nintendo. Hopefully Japan's new trade deals with Asia and with EU are encouraging Japanese companies to think more openly. Nintendo can only gain from this. Compared to Microsoft Nintendo is a relatively small company. In particular this could aid Nintendo at improving its Switch Online offering. Xbox Live is best in class at online multiplayer gaming. Microsoft could help Nintendo expand the breadth and depth of Switch Online so that it really scales beautifully a fully complete multiplayer service to a much bigger audience. With 5G, VR, and AR gaming being on the horizon of mass popularity, this is the perfect time for Nintendo to be building out its online multiplayer service and upping its game. Next: Xtendo knocks Sony out of the park?! Both Xbox and Nintendo missed out on dominating the 8th generation of console gaming. It makes sense for them to team up against Sony to make sure they both do much better in the 9th generation of console gaming. Exciting times! Maybe this is Nintendo's solution to improve online play. That would be funny. @Anti-Matter What’s the difference between Xbox and Switch Portal Knights? Ah, yeah, the GDC. The one conference I somehow always manage to forget each and every year. Looks like we're getting some kind of Direct before april, I guess! "Eh... I thought we were having Steam." Portal Knights (PS4 / Xbox One) version run on 60 fps, smoother environment textures, perfect shading, have Rainbow Island as the 48th Island. While Portal Knights Switch version run on 30 fps, rougher environment textures, partial shading, NO Rainbow Island. XBox Live: For everyone except Ponies. Confirmation in the pipeline, Nintendo? Other websites talk about Xbox Live, and achievements integration for more games than Minecraft. That would be great. Sometimes I choose Xbox One versions because I prefer achievements over portability. But I don't see them taking the time to negotiate achievements for Nintendo IPs, unfortunately. I guess it will be for multiplaform games only. Welcome anyway. Xbox Scarlet App on Switch. This is totally a move in the right direction. Don’t do online gaming much, but this is fantastic news for all. Since Microsoft is the leader right now in online play, giving them the helm is exactly the right decision. @Sabrewing Microsoft also released games on N64 and GBA. @Aslanmagic LIVE is 100% cross-platform already. Any achievement you earn on Switch, Xbox, PC etc. is added to same account. If you play Doom on Switch, it will stack onto Doom if you have that on Xbox One. Different system have differenet achievements lists, and they all stack. @LocalPenguin Microsoft have plans for multiplatform game streaming, and Switch is likely to be included. If you aleady pay for Xbox Live on Xbox One, you don't need to pay to use it on Switch,. Android etc. I also own PS4, and social part is weak. Game Pass is not possible, because Switch can't run Xbox One Games. Microsoft game streaming makes it possible to play any Xbox game on Switch. Anyway. I used Xbox LIVE since 2006 on all possible systems, so i know everything about it.